These are the questions I get asked most, or things I almost always need to explain. I’ll be adding more as time goes on. Contrast is usually understood in photo terms to mean the rate of increase of density with increased exposure. Grades 0 to 5 on Ilford Multigrade paper all have the same maximum black density, for any given surface. High contrast is then achieved from a high rate of increase of density from small increases in exposure. Low contrast needs a much lower rate of density increase as exposure increases. On film, contrast is usually called the Gamma and you choose the Gamma to develop your film to bearing in mind the paper you will print onto or the contrast needed for your final purpose, such as scanning, etc. Gamma is the slope of the straight line portion of the density against exposure sensitometric curve. Where do you buy your equipment and supplies? Here’s a list of all my favourite suppliers. I’m always adding to this as I discover new ones. 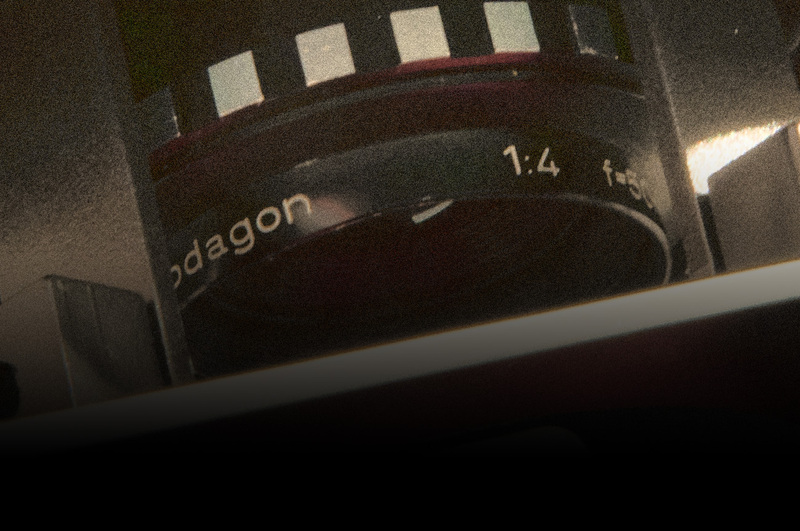 Ilford Lab – Darkroom Film Processing and Traditional Prints. Use discount code STSP11 or CC10 for 15% discount off Ilford lab prices. Harman Express – Ilford products direct from the factory mail order website. Use discount code STSP11 or CC10 for 10% discount off Ilford products. Why do you use exclusively Ilford films, papers and chemicals? The short answer is because, in my opinion, Ilford make the best film, paper and chemical products on the market! Harman Photo, the parent company of the Ilford Photo black and white brands, is the only company with a full range of black and white products still committed to traditional black and white. Kodak stated in the early 1990’s it was a digital company and has been regularly deleting products since then and now has just a few films left and no papers. Fuji has never had a complete black and white range, for example they have never had a variable contrast paper and their C41-processed Neopan 400CN film was in fact Ilford XP2 in different packaging since they didn’t have the technology for their own version of such a film. Agfa went out of business several years ago and the Eastern European brands are mostly old technology with poor consistency between batches of films and papers; I need to be able to rely on my films and papers having very similar performance between batches. Oh, and I used to work for Ilford Photo for 21 years until 2002 so I have seen the products from both sides. The chemical products are what I worked on while working at Ilford; 6 years as a research scientist developing new chemical products and 15 years as the Technical Manager responsible for specifying the performance and testing of all new Ilford chemical products and ensuring the worldwide compliance to chemical regulations. Do you do much manipulation of the image when making a print? My fine art prints are all made in the darkroom using traditional methods so the opportunity for manipulation is far less that for digital. Mainly I adjust the tones to match what I saw when I took the photograph, bearing in mind that camera film is very sensitive to blue light compared to the human eye. This means that blue skies will be overexposed on the film leading to lighter skies in the print than the eye sees when the image was taken. A yellow or orange filter will help at the taking stage but I also adjust for this by giving skies more exposure in the darkroom. That is about the limit of what I do in the darkroom. I use Photoshop for all the images on my web site and that are used for image licensing. After I have scanned a negative I edit it using Photoshop so that it closely matches what I would produce in the darkroom. I don’t like to over-print. There are far too many bells and whistles in Photoshop which tempt people to over-edit images. What settings should I use for an FC Auto glazing machine? I used a 14 inch wide FC Auto glazing machine for a while. Here are some notes to guide you in the use of one in the absence of a manual. It is a rotary dryer / glazer for fibre based (FB) paper. It can only be used for wet FB paper; RC paper has plastic layers on both sides and the heat of the glazing drum will melt the plastic and make a mess of the glazer. Never put dry prints in the glazer with the heat on; with no heat it may help flatten prints. You can put the print against the surface of the drum for a high gloss finish. Alternatively, you can put the print surface against the canvas and this will give you a finish similar to air-dry gloss with FB glossy paper. It’s really designed as a glazer so I’m sure the manual, should you find one, will probably only talk about this. I mostly used it as a dryer and put the print surface against the canvas. I prefer the finish it gives. If you put the print surface against the drum for high gloss then the drum must be free of surface defects or these will give variable gloss. Don’t use high heat or papers like Ilford MGFB will curl. Set up the dryer so that it takes about 40 to 60 minutes for a print to come through and is just dry at the end. Here are the settings I used on my glazer. There are 4 switches on a bottom right hand panel, set them as follows. What is split grade printing? This is probably the most useful and powerful technique to learn for darkroom printing. It is the technique used by Ilford printers for pretty much all hand prints. Once mastered it will considerably reduce the amount of dodging and burning adjustments that you will need to do. It involves using a low contrast exposure and a high contrast exposure instead of the usual single exposure. The contrast scale is numbered from 0 to 5 and the low contrast exposure is usually in the range 0 to 2. This gives the detail in the light parts of the print and most of the mid-tones. The high contrast exposure is usually grade 5 and controls the intensity of the blacks in the final print. This is the technique that I usually teach on darkroom workshops. It can be used for all types of negatives except very underexposed negatives (thin negatives) which are usually best printed with a single high contrast exposure. We have a Split Grade Printing Tutorial on the site if you want to have a look. How do you dry fibre based (FB) paper? Flat bed FB dryers, such as the Maco Ecomat TP5060 FB are the best way to dry FB papers.The Maco dryer works well with no curly edges produced. It is very expensive though, last time I looked it was getting on for £800. I also have a Buscher 24 x 20 inch FB dryer that hasn’t been used much from new (it looks like it is new). Bought a few years ago as a backup but not needed very often. It is the same principle as the Maco but cheaper construction, both are thermostatically controlled, have a metal drying platen and stretched cloth to hold paper flat while drying. The Buscher is double sided (as in 2 drying plates – 1 on top and another underneath, both with identical construction) so you can do 2 lots of prints at the same time. The Buscher gives curly edges unless very carefully controlled. These flat-bed dryers work best if low heat (around 40C) and longer times are used (40 to 60 minutes per print). Other ways include placing prints face down on mesh drying screens (face down so that gravity flattens the natural curl of the paper – the Les McLean way). Hanging prints on a washing line in pairs back to back (the Ilford way). Squeegeeing prints onto a sheet of perspex so that they dry flat; the perspex needs to be free of scratches or the dry print will be difficult to remove (also used at Ilford). Is there any equipment that you feel is essential for landscape photography? Having decided to use medium format film cameras for all of my photography a tripod is the next most important item of kit. This is closely followed by a cable release so that the camera is not jarred during exposure. As a film photographer a set of filters is also essential to correct for the natural over-sensitivity to blue light of all films and to give some creative options in the camera. Why did you switch from slr medium format to rangefinders? I changed from Mamiya 645 to the Mamiya 6, then Mamiya 7, because of the difficulty in handling the brick-shaped 645 out in the hills. The Mamiya 7 is very portable, easy to use and the lenses are top quality. If you look at ebay they hold their value well too. For close-up work there can be a problem with parallax since you look through a viewing window NOT through the lens. For macro and close-up work the 645 is better, for travel, landscape and city shots the Mamiya 7 can’t be beaten for what I do. For colour work there is a special polariser that you can set before pushing it down into place. You would have trouble using graduated filters though since you don’t look through the lens so you would need to guess how far to push the filter down in front of the lens. The 7-II is better than the mark 1 if you want to use the multi-exposure lever. Otherwise the mark 1 is the same except for a few cosmetic changes (strap lugs, cable release socket moved, lens change lever different). Why did you switch from 35 mm cameras? The only reason was image quality. The larger the negative the less enlargement of the negative is needed for a given size print. What film format do you use? I always use Mamiya 7 cameras which produce 7 x 6 cm negatives on 120 roll film. In the past I used Mamiya 6 cameras for 13 years for 6 x 6 cm negatives, a Mamiya 645 Super camera for 7 years before this (6 x 4.5 cm negatives). I also used 35mm Nikon cameras for 15 years before switching to medium format Mamiya cameras in 1986. For many years I used Yellow, Dark Yellow and Orange filters to add contrast and enhance skies. I occasionally use yellow-green and green if there are lots of green trees and shrubs in the shot and not much sky. I hadn’t used red filters until recently (2014). B+W, the manufacturer of most of my filters, has deleted dark yellow, and green filters from their range so I have changed my standard filters to Yellow, Orange and Red. I also use infra-red filters (Heliopan 715, similar to a Hoya R72) with Ilford SFX film. The dark yellow was my favourite until the B+W range change from 2014 since a lot of shots have trees in and this does not darken them as much as an orange but still darkens blue skies quite a bit more than a yellow. How did you select the film that you use? I need to use a film that has a wide brightness range, medium speed, fine grain and is tolerant of difficult conditions. Ilford FP4 Plus is far from being a new film (introduced in May 1968, updated to Plus in 1990) but it meets all of these needs. I use a medium speed film (FP4 is 125 ISO) for finer grain than something like HP5 Plus or Delta 400. I would have finer grain with Ilford Pan F Plus but the longer shutter speeds needed from the slow speed would more often require the use of the B setting for exposures over 4 seconds and I prefer to avoid this. The latent image (recording the scene on the film after you press the shutter button) is not as stable with Pan F compared to FP4 so on long trips and at busy times I can leave processing my films and not worry about the latent image fading and losing detail. Here is a bit more history. The film format I use is 120 roll film. This format was introduced by Kodak in 1901 for its Brownie No. 2 cameras and survives today as the only medium format film, other than the double length 220 which Ilford deleted from its product range in 2003. Do you have a favourite location for photography? My favourite local area is the Goyt Valley. It’s just a couple of miles from home and it’s full of photogenic locations. The Zermatt area in Switzerland is my favourite place outside the UK. There are so many high snowy mountains and the village is very picturesque. How do you choose what to photograph? I photograph what presents itself to me and what appeals to me. Then I decide if it needs foreground interest or not. Choose which filter to use, if any. Check for and remove distractions from the image, especially at the edges. A tripod is really helpful for this. Check camera settings to make sure the image will match your expectations; use a small aperture like f22 if you want everything in focus, use a fast shutter speed of at least 1/100 sec to freeze water droplets from a waterfall in mid-air. I also take photographs that people ask me to or to fill gaps in my library after receiving requests. What advice can you give for taking photographs in cities and elsewhere? Photographing buildings is very complicated and, for commercial work requires you to obtain permission from property owners, fill in risk assessments and have public liability insurance for several million pounds (pretty standard in pro photo insurance policies). Health and safety in busy places and/or when using a tripod. Private property will often allow individuals to take a few photos hand held as long as you don’t make a nuisance of yourself, say you are an amateur with no interest in selling the photos and you are not using a tripod. If you are professional they usually expect you to fill in some paperwork and pay for a permit. A recent one for the area around New City Hall in London were very helpful and sent me the forms and rules to follow, albeit quite lengthy, for example. Police were using section 44 of the anti-terrorism act to stop and search photographers until the European Courts told them to stop in 2010 because it was illegal. It has reduced but not stopped them doing this but they must believe that you are a serious terrorist threat now or face a complaint and compensation claim from the harrassed photographer. If you are commissioned to do building photography then you must include the cost of the permits in the quotation for the job and find out all the property owners to contact for costs to avoid being stung at a later date, or worse, the job having to be delayed or called off. If you are doing speculative photography to go in a picture library then it’s up to the person at each property whether they make a charge. I avoid taking speculative photographs inside any building because it is obviously private and would involve obtaining permits and usually paying fees. If it is a commission then the client pays these costs. I have no experience of English Heritage although I suspect I have taken pictures of some of their properties, if it’s obvious I tend not to take the photo. The National Trust is becoming very restrictive. They always prohibited photography inside properties but now they are stopping professional photography anywhere on their land. Since they own so much of the UK, including the coastline, this is probably the biggest problem faced by photographers such as myself. This is a shame since the NT looks after a large chunk of our heritage and they are preventing the recording of heritage buildings and land, so this is being lost to future generations. As I work in black and white film I feel closer to the historical record than maybe I would if I was using digital. They will counter this by saying that they commission a lot of photography but that misses the point; no-one takes a photograph like I would so they have lost my interpretation and recording of their properties. You can of course continue to take commercial photographs from public rights of way across National Trust land. Do you have a problem with fogging due to airport scanners? The short answer is yes. I have seen fogging from airport hand luggage x-ray machines after just 3 or 4 passes (this was using UK and USA not 3rd world airports!). I always use FP4 medium speed film (125 ISO) so it happens on this, not just high speed films as airport staff would have you believe. I used to work for Ilford Photo and ran the world-wide customer service area for product problems and saw lots of examples of airport x-ray fogging from around the world. The fogging I have seen on my film I know not to be an isolated incidence. 1. Have film delivered to my address at the destination I am travelling to (hotel or friends, etc.) by a supplier in that country. 2. Ask for hand search of film at airport hand luggage x-ray areas. You have a legal right to a hand search on film in the USA unless they are on red alert for terrorism. I have never been refused a hand search in the USA and I have had dozens of them at Newark, JFK, Boston, Chicago, Denver and San Francisco. I have also had hand searches of my film at Amsterdam, Berlin, Rome, Vienna, Hong Kong, Sydney, Auckland and Christchurch airports. I try and avoid flights in Europe, preferring to drive. This is specifically to avoid airport x-ray scans. I always carry my film in clear plastic bags (I use Ortlieb A3 map cases as they are large, very stong, have a velcro closure to secure the films inside and are crystal clear with a carry chord). 3. Have film processed locally when on a trip. This can be done but is difficult as there are not many good b&w labs left. I have seldom managed to have a hand search at UK airports even though I know that they have the same equipment as is used at USA airports and most others around the world. Consequently, I always travel to the airport for the flight leaving the UK by car or train, I don’t use UK connecting flights. There is an excellent lab in New York – Chelsea Photographic. They often turn jobs around the same day. If I’m in NYC I use them. Make sure you let them know to expect you and roughly how many films they will have to process. Mostly I bring exposed films back here for processing and endure the hand searches. In the UK for processing large batches of film I use Ilford Lab Direct. Up to 30 rolls, I process myself. Why do you work exclusively in black and white? I used to take both colour transparency (slide) films and black and white negative films and carried separate cameras for each so that I could do both at the same time. I take good shots in both but usually found the black and white photographs more satisfying. Colour usually wins at sunset and sunrise, unless it’s misty!, but black and white can be taken at any time of day and in most conditions. Creativity: Colour eventually became a distraction, I just wanted to take black and white. It is more creative, for me at least. These days I even avoid toning my prints with sepia or selenium as I prefer the pure black and white image. It forces the viewer to look at the scene as I want to present it, with all the graphical elements, shapes, textures, tones, patterns, etc. rather than for the colours present which can often divert your eye from the overall picture. Control and quality: I take and process my own films as well as making the prints in the darkroom using far better quality print materials than are currently available for digital black and white inkjet prints. Image life: My negatives are on silver gelatin films that are known to last many decades, probably hundreds of years. My darkroom prints are on the finest quality silver gelatin fibre based papers that are known to have a life of over 150 years as similar materials were being used in the mid to late 1800’s. Do you have any advice for someone who wants to pursue a career in photography? All I would say is that you’ll make more money if you work for yourself rather than being employed by someone but the experience from working with someone could move you forward professionally quicker than doing it on your own. It’s more satisfying succeeding without the help of others too. If you set up on your own be prepared to take work that you would prefer not to do as it brings money in for the short term – you can specialise later once you can afford to turn away work you don’t need. Lastly, if you have a talent for photography do not let anyone put you off making it your career. There are lots of opportunities for those with talent, follow your dream. What do you consider to be the main qualities for a successful landscape photographer? To take photographs even in appalling weather as these can be the most dramatic. Don’t get bogged down with equipment. Buy a camera that does the job and stick with it, don’t change it every time Nikon or Canon release an updated model. A sense of humour, you will need it! Do you work differently when you are taking pictures for a commission compared to your other photography? I do very little commissioned photography. I use the same approach for all of my photography except that commissions have a brief to work to which can limit some of the creative options. Are there any particular key skills or technical skills that you have learnt as a landscape photographer that you feel are important within this genre of photography? That’s a tricky one. Landscape photography has become a habit that I don’t really have to think about when I’m composing and taking photographs. Being able to see beyond the clutter in a scene and pick out interesting foregrounds to set off pictures are probably the key ones for black and white landscapes. Also, knowing when the light could be better and being prepared to return when all the elements that you want in the shot are right is equally important. What kept you motivated to keep learning? I wanted to produce darkroom print quality as good as that produced by the Ilford printers that I managed for many years. Have there been times when you struggled to learn the skills you have today? Yes, everyone has to start somewhere. I wasn’t born a photographer or darkroom printer, the skills have to be learnt. Practice makes perfect! The most difficult in recent years was learning Photoshop. There are so many ways of doing the same thing and lots of tools that I don’t need. The more you use it the easier it becomes. After quite a few years using it I’m pretty good at using it for what I need to do. Did you study photography at college or are you self-taught? It’s a mixture of self-taught and on-the-job-training while working for Ilford Photo for 21 years. I have not studied photography at college. It seems as if I have been a photographer all of my life! My Grandmother gave me a camera (a Box Brownie) when I was about 5 years old and that was the start. I have been selling my photographs since the mid-1980’s and have been a full-time professional photographer and darkroom printer since 2005. I have always taken colour photographs but would like to try black and white, can you give some advice to get me started? To learn what’s important for black and white photography you need to come on one of my landscape photography courses! For successful black and white you need to pay more attention to what you put in the picture and where the light is. Less is usually better. Shapes, textures, tones, lines to lead into the picture and lots of other things all make for strong images. If you can make good black and white images then your colour work will improve because of the extra structure that you will put into your shots. I would like to work in the photo industry after finishing my University course, do you have any advice? Would you consider taking on a student as an assistant? No. The main selling point of Dave Butcher Photography is that Dave Butcher takes all of the black and white photographs and makes all the darkroom prints himself. The admin. side is run by my wife Jan.
What is it about landscape photography that you enjoy? It’s the combination of photography with being in the great outdoors that is so appealing to me. There is no other job like it and I know I’m very lucky to travel around the world making a living from the photographs that I take, although there is always pressure to get shots that sell. Why did you choose to photograph landscapes, skiing and cities? I have mostly lived in the countryside so landscapes are everywhere. I feel somewhat uneasy in cities and they do not have the same appeal as the great outdoors. However, I sell lots of city shots and travel through them on my photography trips so I include them in my portfolio because of this. In cities I look for 2 sorts of shots – a record shot that is easily recognised and quirky angles / small parts of buildings that are interesting pictorially. I feel at home in hills and mountains and live in the Derbyshire hills of the English Peak District National Park, about 25 miles SW of Manchester. I started skiing as a way to reach the summits of the mountains in Scotland in winter not realising that the snow conditions were seldom good enough. This led to ski mountaineering in the European Alps as well as downhill skiing in resorts across Europe and the USA. Everywhere I go I take a camera and this has been the case for the last thirty years so I have an extensive picture library. The inspiration for my style of work comes from Ansel Adams (an American landscape photographer), Walter Poucher (an English landscape photographer) and several of my colleagues who used to work at Ilford. The inspiration for taking landscapes comes from living in, or close to, the rural landscape all of my life. I always wanted to be a photographer, and had a talent for it, but it is only since 2005 that I have done it full-time and I am now making my living from it. I have been selling my photographs at a low level since the mid-1980’s while working for Ilford. Unfortunately, in my youth local photographers did not need an assistant and when I went to the local careers officer in Hatfield and asked for help with a career as a photographer she laughed and told me to get rid of all ideas of such glamorous jobs but she could get me a job with an engineering company making planes! Not quite the same so I declined, tried and failed to find work as a photographer myself, so became a chemist (I also found chemistry interesting). Most of my working career was as a chemist and I have a PhD from Cambridge University (the English one) and am a Fellow of the Royal Society of Chemistry. Luckily after my PhD I managed to get a job with Ilford who make black and white films and papers. They taught me a lot more about photography and my own work improved as a result, particularly my print quality after I ran the photographic printing department for several years. I left Ilford in 2002 after 21 years because of a back injury. My first book was published in 2005 and prompted me to take the plunge to be a full-time professional photographer. I now sell fine art original photographs, run landscape photography courses and darkroom printing workshops (I am also an Ilford Master Printer). I write and publish books, give lectures about my photography and license my work to companies for posters, calendars, greetings cards, stationery products, advertising, etc.